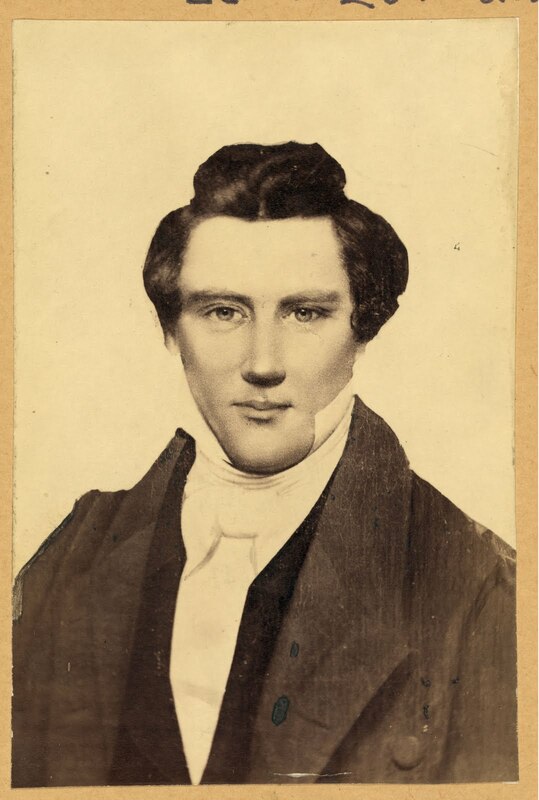 A true photographic image of Joseph Smith Jr.: A picture is worth a thousand words. I think one of the most important points in my research is that the evidence clearly shows that it is a photograph of a person and not of a painting. Here are just a few basic reasons that lead me to this conclusion. 1. Depth of field. In optics, particularly as it relates to film and photography, depth of field (DOF) is the distance between the nearest and farthest objects in a scene that appear acceptably sharp in an image. Although a lens can precisely focus at only one distance at a time, the decrease in sharpness is gradual on each side of the focused distance, so that within the DOF, the unsharpness is imperceptible under normal viewing conditions. In some cases, it may be desirable to have the entire image sharp, and a large DOF is appropriate. In other cases, a small DOF may be more effective, emphasizing the subject while de-emphasizing the foreground and background. In cinematography, a large DOF is often called deep focus, and a small DOF is often called shallow focus. Thanks Wikipedia for your quick definition. 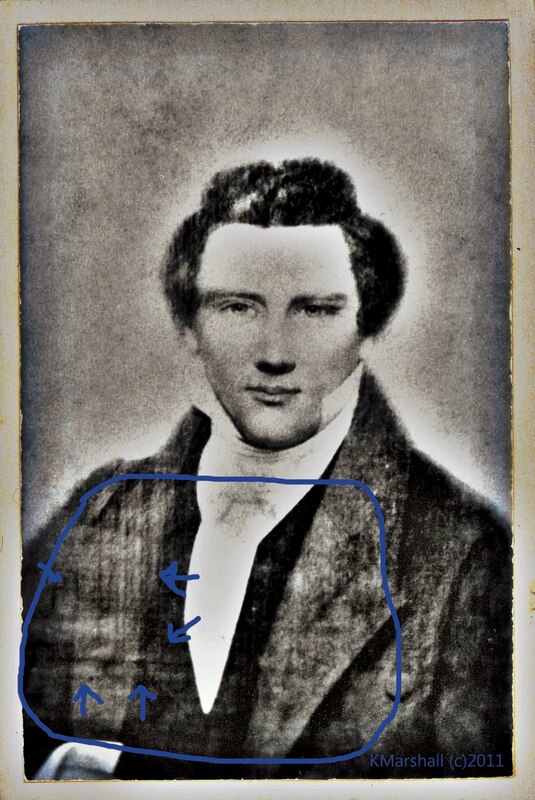 In the case of the Joseph Smith photo, there is a shallow depth of field. His eyes and face are in focus and quickly graduate out of focus in the foreground and background. Only a 3D object could create this. 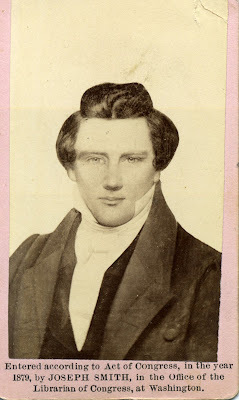 I have a link to a great website that shows early daguerreotypes that had these same focusing issues as well as giving a great little history lesson about daguerreotype photography. Here's the link. 2. Reflection. Daguerreotype photographs are a mirrored, polished surface that must be tilted slightly in order to view the image. Photographing a daguerreotype becomes even more tricky, especially before 1879. Through my various research, I believe that in fact that my photo as well as the two Library of Congress photos of Joseph all have the same embedded reflection. Please note that the following image has had the contrast enhanced to show the details of the reflection. While it can be seen with the naked eye on the original it does make it easier for the viewer to screen it via the internet. 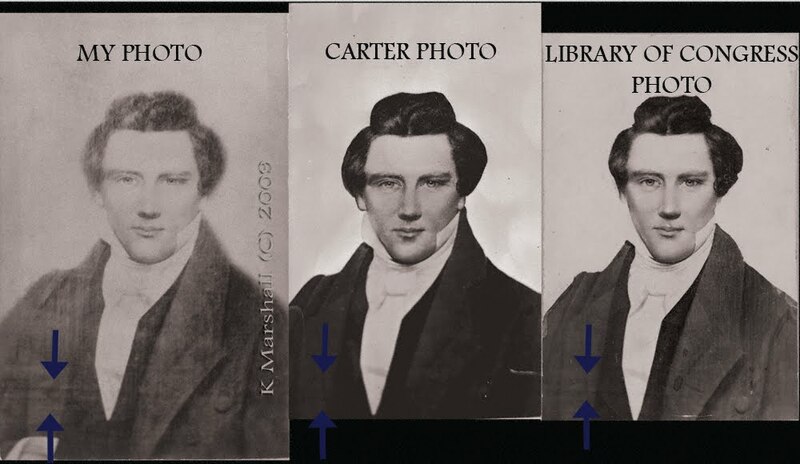 I must revise what I stated earlier about the Carter image being different from the Library of Congress image. Two images were, in fact, submitted to the Library of Congress by Joseph Smith III in 1879. It is my belief that William Carson was the re-photographer of all three images because of the uniqueness of the reflection. It is possible that more than one negative was used at the time but if my theory is correct, Carson's negative would have been the source for all three images. The Carter image and the Library of Congress image being edited and rephotographed then submitted for copyright.